A growing trend in the United States is to see less doctors practicing. We are seemingly suffering a brain drain of doctors who want to have their own private practice, but end up giving up their specialties to work for a hospital instead. 4.The unknowns of Obamacare, though the problem of doctors bailing from their practice started long before the plan was put into place. In a country that likes to tout itself as the most developed in the World, the United States is ranks 38th in the World for quality of health systems [World Health Organization 2000 report). Ironically, the United States also ranked 1st for expenditure per capita. We spend the most but receive less care. Is it possible that a market driven health care system is the reason we are failing? Doctors selling their practices – Jul. 16, 2013. Dr. Patrick Cobb sold his private oncology practice in December 2012. “It just wasn’t feasible for us to stay in practice,” he said. It’s happening nationwide and has picked up pace, said Tony Stajduhar, president at Jackson & Coker, a physician recruitment firm. Experts say the number of physicians unloading their practices to hospitals is up 30% to 40% in the last five years. Doctors who sell typically become employees of the hospital, as do the people who work for them. The reasons for the trend vary. Doctors are tired of the hassle of filing insurance claims and collecting payments from patients and want to only focus on medicine again, Stajduhar said. Obamacare has also created more fear of the unknown. Doctors are worried that new regulations will add to their administrative work and require them to pour more money into their businesses, Stajduhar said. Dr. Patrick Cobb, an oncologist in Montana, sold his 30-year group practice Frontier Cancer Center to a hospital in December. His practice was struggling for years even before health reform passed. Changes in chemotherapy drug reimbursements badly hurt the business, he said. In cancer treatment, patients don’t buy the drugs themselves. Oncologists buy the drugs and then bill insurers for the cost. Medicare significantly reduced reimbursements in 2003 for chemotherapy drugs. That was a turning point, said Cobb. “We spent millions on drugs that we bought directly from distributors. When reimbursements fell, our costs went up,” he said. Cobb and four other oncologists at the practice took pay cuts to offset declining revenues, but it wasn’t enough. In 2008, the practice closed one of its four locations. Cobb and his partners looked for a buyer in 2012 and found one in Billings, Mont.-based St. Vincent Healthcare. The hospital system hired Cobb and the rest of the practice’s staff. “It just wasn’t feasible for us to stay in practice,” said Cobb. 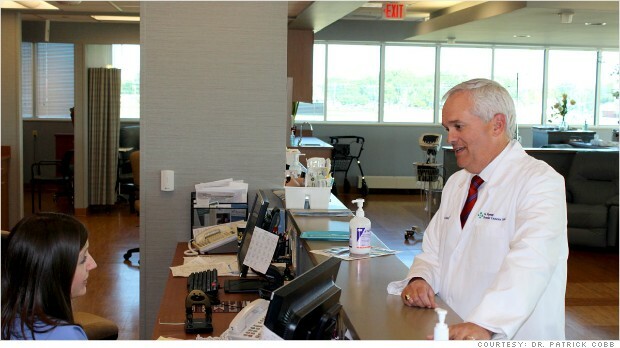 The cycle of hospitals buying private practices has happened before. In the early 1990s, hospitals went on a buying spree as a way to get access to more patients, said Thomas Anthony, an attorney with Frost Brown Todd in Cincinnati. 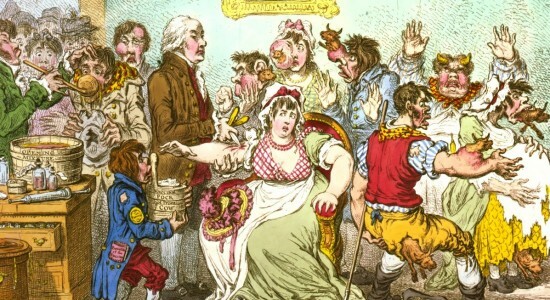 At the time, it was a sellers’ market and the deals were financially rewarding for doctors. This time, the market dynamics are different. Doctors are eager to sell and might not be able to make as much as they did in the first wave of acquisitions, said Anthony. But, for sure, hospitals are buying. As more of Obamacare is put in place, hospitals are rushing to increase their market share in anticipation of millions more Americans getting access to health care. Buying practices is a quick way to do that, Anthony said. And more private practice doctors want to enjoy steady salaries and hours again as hospital employees. Dr. Dwayne Smith, a bariatric surgeon, sold his group practice to a hospital two years ago. His practice was profitable but costs were creeping higher in recent years because of shrinking reimbursements. One big cost coming down the pike was tied to electronic medical records. Federal law gives physicians until 2015 to implement digital records technology or face a 1% reduction in Medicare payments. “This would have been a very difficult investment for us,” said Smith. Smith’s practice approached Cincinnati-based St. Elizabeth Healthcare in 2011 with an offer to sell. The hospital bought the practice and Smith became a hospital employee. He’s happy with the decision even though he has had to adjust to the loss of autonomy. “My hours are better. I’m not spending hours on administrative work or worrying about my business,” said Smith. The private practice model is very expensive to operate, said John Dubis, CEO of St. Elizabeth Healthcare. “That’s why it’s diminishing,” he said. Most of the 300 physicians employed by the hospital’s specialty physicians group have come from private practices.